Glasgow branch organised a public debate with Hillel Ticktin, editor of Critique and Comrade Adam Buick of West London branch. The subject was,'Did Trotsky Point The Way To Socialism?'. It was held in the Hillhead Public Library, Byres Road, Glasgow on Saturday 24 January from 3pm to 5pm. The chairman was Richard Donnelly of Glasgow branch. There was an audience of 32, 19 members and 13 non-members. Ticktin opened for 15 minutes, Buick replied for 15 minutes, Ticktin then spoke for 10 minutes and Buick replied for 10 minutes. There was just under an hour for questions and discussion and then Buick wound up for 5 minutes, followed by Ticktin for 5 minutes. The debate was filmed but we will have to see if the footage is useable or not. Ticktin 'agreed' that socialism is a moneyless, propertyless society and that socialism was not possible in one country. Nevertheless he agreed with Trotsky's adherence to leadership and scorned the notion of the SPGB that socialism could come through the ballot box. The main contention of the debate became that of leadership, with Ticktin and his supporters insisting that leadership was essential. Several SPGB members in the audience at discussion time pointed out that if we desired a society without divisions how could we split people up between leaders and led.These are only my own recollections of the event for further details please consult the website. Members seemed to agree it had been a worthwhile activity and although our opponent got the worst of it, he is to be congratulated in at least having the courage to debate with us, something that in recent years most leftwingers have run away from. It may be worthwhile to challenge other organisations to debate. Perhaps the Green Party or some special issue organisations may be willing to take part in a public debate. In the Guardian today we get reports of a wave of reprisal attacks and killings inside Gaza that have left dozens dead and more wounded in the wake of Israel's war. While undoubtably, some of this is spontaneous even personal, ,some of it is Hamas trying to reassert its control, a part of an on going power struggle inside Gaza between Hamas and Fatah.It is worth remembering too,when Hamas was encouraged to take on Fatah at the time it was in Israeli interests to do so. 'Twas ever thus. A correspondent comments in this blog, in respect of the blockade of Gaza,"I read somewhere recently that an adviser for the Israeli Prime Minister had at some point stated that the Gazans were to be "put on a diet". Not much compassion for fellow humans there." This anecdote may or may not, be true, an unguarded comment from an agent of the Israeli state. 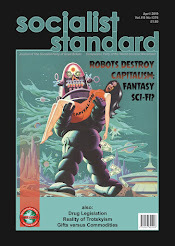 It is the same old arrogance,but we have to remember capitalism and its methods, dehumanises and we can feel rightly angered by this and the, probably normally kindly,old individuals ,dancing in New York as the jets struck woman and children in Gaza, but socialist analysis requires,demands even, a cool head.Some of these stories are propagandist grist to the mill, as all the different sides put their gloss on events to justify and excuse their own methods and reactions.The first casualty is truth .We need to be vigilant and not be used.It is worth remembering in all of this there are courageous individuals, some very young ,refusing to do their masters bidding. Some of their solutions may be flawed, naive even , but their courage and determination to remain humane and not add to the carnage, at considerable risk of personal ostracism has to be acknowledged. World socialists are revolted by the violence of the Gaza conflict. We condemn both sides and denounce the senseless killing of our fellow workers. History shows that in times of war, working-class interests are never served by workers throwing in their lot with nationalist or other political leaders of capitalism, whether they are well-funded like the Israeli state, or weaker like Hamas. The slaughter in Gaza underlines yet again the urgent need to work for a world without nations and nationalism, bosses and workers. Instead of a “two-state” solution, world socialists offer the “no-state” solution as the only one that can ever give the Middle East lasting peace. Why war is not an accident ? War is not a freak of history, nor an accident of policy. Rather it is the continuation of business competition by other means. The fate meted out to the innocent population of Iraq,even 'before' the invasion and subsequent slaughter by the US and UK forces, due to the terror and sanctions imposed upon that country by Britain and the US,is not a freak of history, nor an accident of policy. Rather, it is the continuation of an old game, and the re-use of policies deployed successfully, and equally devastatingly, elsewhere. The noted historian, Eric Hobsbawm, in his essay “Barbarism, a Users Guide', cites how, over the course of the century, the Enlightenment principle that "civilised warfare [sic] is confined to the disablement of the armed forces of the enemy” has declined. He finds the cause of this change en the “concept of total national mobilisation [which] shattered" this vital principle of "civilised warfare" [sic]. Hobsbawm however, offers no notion as to how this happened, or why the world should be slidng towards barbarism. As, however, capitalism developed the relative independence of rural towns, regions and of the military structures, became gradually eroded as the whole world was swallowed up into an integrated market economy. Everyone became absolutely dependent upon everyone else. Thus,eruptions of military conflict could no longer be confined to the combatants alone, as the shock waves spread out throughout the whole economy. Hence, Hobsbawm observes, that such societies had to mobilise the population to war generally: "[capitalist societies] do not fight...like bodies of professional soldiers, for whom fighting the war does not require hating the enemy." War could no longer be a gentlemanly pastime, played with a set of rules to make things fair. Hobsbawm's basic error is to accept the distinction between official war, and peacetime, the start and end of the game declared by the gentleman players. His Arcadian depiction of enlightenment warfare neglects the continual use of state military forces against the lower class, the regular insurrectionary slaughters, and the like. He neglects the fact that capitalism is a system "based on a state of perpetual war" (Morris). Just because an end of play is called, it does not mean that the slaughter ends. The twentieth century has not been about the decline of an official distinction between war and peace, but rather, a growth in the scope and magnitude of the capitalist war. This has continued of course into the twenty first century,brave new millenium indeed. The First World War provides a case in point, where this universal warfare was pursued. Not content simply with seeing something like 9 percent of the world's population dying on the battlefields (Hobsbawm) in order to secure capitulation from the gentleman players in Germany, the British ruling class also followed a policy of blockade against Germany, even after the end of the war. to a shortage of milk. The Blockade—the cordon sanitaire— was also turned into a device for trying to crush the Bolshevik regime in Russia, and as a result, exacerbated no doubt by Russia's own civil war, some 50 million people across the North of Russia faced starvation in 1919. Across all of central Europe, some 200 million faced death by famine. All of which was the result of conscious policy. The British Minister responsible for the blockade wrote “I regard the blockade as the easiest and cheapest method of applying pressure to Germany.” The force, eventually for abandoning the policy of starving Germany into submission, was the threat of loss of control. President Wilson sent the Allied Blockade Council an illuminating telegram "Food relief is now the key to the whole European situation and to the solution of peace. Bolshevism is steadily advancing westward, poisoning Germany. It cannot be stopped by force but it can be stopped by food.” The New Statesman at the time perceptively observed that food relief "cost something not far short of continuing the war”, which, of course, was precisely what it was for. since no war would be complete without it - British troops seized the Caucasian Oil fields at Baku. The defeat of the official Gentleman players merely meant that the winning powers were free to use their strength against the workers in the losing states in order to seize the assets and booty on offer there. Those assets included human beings. Since their capacity for war was in no way related to an inherent antagonism to their foes, when Germany was defeated the allies demanded that German troops in Russia be handed over to their use against the Bolshevik foe. There are no permanent enemies, only permanent interests, and the name given to the game depends soleIy upon the interests of the day (all these incidents are described in 1919 Red Mirage by David Mitchel). Apologists of capitalism would claim, however, that World War I was a monstrous carnival of imperialism, madness run rampant. They would point to the Second War, and declaim loudly that it was a just war, where the actions of the Allies were intended to stop just such atrocities. On the Eve of the allied victory, the leaders of the victorious countries accepted a plan drawn up by American Secretary of the Treasury Henry C. Morgenthau, to de-industrialise Germany, and forever end the threat it posed, leaving it at a not-quite agricultural level of economy. The usual historical accounts of the war tell of the atrocity that was the blockade and starvation of the Netherlands; and many accounts tell of the perfidy of the Russians in blockading Berlin, and the heroic allied airlift to save that city. What these accounts miss out is that Britain, France and America subjected their sectors of occupied Germany to just such a treatment themselves. In 1944 the average Dutch ration was 1,397 calories per day, and 1,554 in 1945. In the British zones of occupied Germany the official ration was 1550, and for six months in 1946 it fell down to as low 1,000 calories. In the French sector, conditions including a daily diet of 450 daily calories were recorded. All this, while the occupying armies and the staff lived in comfort. On the 8 May 1945 General Eisenhower issued a proclamation forbidding civilians to feed German POWs under pain of death, and all the while,thousands of prisoners languished in Allied camps, unable to return to rebuild their communities, and dying due to maltreatment. The occupying powers again took POWs to rebuild their own economies, as virtual slave labour—in the name of reparations. Further, the occupiers removed industrial capital to use for their own economies, leaving Germany in a state that it only reached 25 percent of pre-war production. locals. The siege was only lifted, again, when chaos and collapse threatened allied control over Europe. To accept the official distinction between war and peace, the official distinction between "friend" and "foe", is to buy into an ideology meant to disguise the reality of continuous warfare. Not a decade passed last century without British troops being in the battlefield. Regardless of the stated intentions, of the apparent excuse for beginning a war, the only reason ever is the pursuit of the interest of the capitalist class, which they will enforce without ruie or reserve upon the working class. Hoping that war can be carried out in a gentlemanly way, that it can be carried out without inflicting suffering on the working class is pie in the sky. The destruction of resources, of wealth, that is inherent to war is diametrically opposed to the interests of the working class. Some present, mainstream Histories of Soviet Russia will tell you that 1917 was a socialist revolution and that the Bolsheviks, led by Lenin, established a Communist system. It is a Mickey Mouse account for sure. The Socialist Party has, throughout its history (and it was around in 1917, don't forget) denied that claim. In fact, we need only refer to Lenin's writings. The fighting role of the P.C.J. is equally important in the sphere of NEP, and here the P.C.J.’s weakness and apathy is even more outrageous. There is no evidence of any understanding of the fact that we recognise and will continue to recognise only state capitalism, and it is we — we conscious workers, we Communists — who are the state. That is why we should brand as good-for-nothing Communists those who have failed to understand their task of restricting, curbing, checking and catching red-handed and inflicting exemplary chastisement on any kind of capitalism that goes beyond the framework of state capitalism in our meaning of the concept and tasks of the state. Lenin saw State Capitalism, under the political control of the Bolsheviks, as a step towards socialism/communism. This we (the SPGB) deny, of course. Recently the word ‘capitalism’ seems to be on everyone’s lips. The main reason for this is probably that capitalism – also known as ‘the economy’ or ‘the market system’ is going through a bad patch. The Labour government’s claim to have ended the cycle of boom and bust has been proved disastrously wrong. The last boom, during which food, energy, house and stock market prices rose at unsustainably high rates, has given way to bust. As usual, workers are the main victims. Many of us have lost our jobs, can’t get new ones or can’t enter the labour force for the first time. We have seen our outgoings soar, our incomes squeezed, even our homes repossessed. Even if we have so far personally avoided the worst of these fates, the worry that we may not continue to do so can be very stressful. Anyone who disputes this, for example by advocating that all goods and services should be available on the basis of need, not ability to pay, is dismissed as idealistic or utopian. It is a classic case of self-fulfilling prophecy: support (or at least acquiesce in) the way things are organised today and tomorrow will be more or less the same. But it doesn’t have to be. Socialists urge that it is futile to try to reform capitalism – the whole system needs to be scrapped and replaced by something better. The world could be run on different lines which could get it out of the mess it is in. People could organise their affairs so that everyone has free access to the things they need to lead a decent and satisfying life. To raise this issue of an alternative society we will be standing here in the next local elections. For information on local meetings (in Clapham High St), write to: Gwynn Thomas, 52 Clapham High St, London SW4 7UN. Those who know us must have noticed that we don't go out of our way to recruit members. Some would say we do just the opposite. At first sight, we seem to have the oddest approach to recruitment of any political party in existence-we have a test for membership. Applicants are only accepted if members of a branch, not excluding those who joined the week before, are satisfied by the answers to their questions about what we stand for, and the applicant's understanding of it. Now what we stand for isn't articularly hard. We often say thatit's easier to learn than the rules of football. But hard or not, why do we insist on this test? Surely it must put some people off? Well, that may be, but we can't help it. One can always dismiss this peculiar feature of our case-and the test of socialist understanding itself is part of the case-as mere sectarian elitism. Perhaps, like the People's Front of Judaea in the celebrated satire Life of Brian, we simply don't want people to join, and we don't want to grow, because that would spoil our little club, as it were. Our detractors will certainly say this, and worse. But let us consider for a moment what happens when people join other groups which don't have this test. Actually, they face a test nonetheless, and one which takes a lot longer and is far harder to pass than ours. For a significant sub-text behind every statement and action that members make in these groups is the exchange of political credentials. In this subtle transaction, which may take any number of forms, the objective is always the same, that the individual is perceived as being "all right". The individual is therefore judged by the group according to a range of what might be called "credential indicators". Why does this "judging" process take place? Simply because every group is afraid of internal divisions which might destroy it-one reason why debate may be actively avoided-and credential indicators can be viewed as a kind of defence mechanism against this. Power and influence is universally denied to new members, whether officially or unofficially, until judgment is reached, and judgment can take a long time when indicators are unvoiced, subtle, multifarious and hard to inspect. In addition, counter-indicators may be present, or arise accidentally, which will further delay conclusions and further marginalise the member. Similarly, being against the money system does not exclude the possibility that you favour a barter system-a retrograde step-and being anti-state is a sentiment shared by many rightwing freemarketeers.Animal rights might imply you care nothing for human rights while eco-politics might, or might not, ignore the concept of class struggle. What is needed of course is a coherent approach, but in groups where formal debate is not regularly practised this is very often lacking. In place of or supplementary to formal "theoretical" indicators one can often find other indicators which may be even more powerful for being unvoiced. Dress can be a strong credential indicator. In groups where young people predominate, the habitual styles of dress will tend to become familiar, and departures from these styles-say a three-piece suit-will stand out as incongruous, odd and perhaps suspect. Older people with differing dress styles therefore present the wrong indicators to such groups. Language and dialect have been used, especially in Britain, where accent denotes cultural status to a great extent. If the group ethic leans heavily towards the stylised "working class" image, posh accents and Received Pronunciation (i.e. BBC English) are definitely out. This can give rise to speech changes among members. These two powerful credential indicators work more at the unconscious than the conscious level. Nevertheless new members may be acutely aware of them, and, feeling that they are perpetually on trial, be disposed to change their behaviour, language and dress in order to fit in. This can then give rise to phoney displays intended to impress, and self-conscious reluctance to speak out or assert oneself. An indicator which is, by contrast, highly articulated, is education,or rather erudition in theoretical matters relating to the group. If the way to be accepted by the group is perceived as being this kind of expertise, the group will not attract anyone but amateur academics who are constantly trying to prove how clever they are. There are any number of other indicators that may be applied. Even musical taste can be used, or social mannerisms, or background, or income. But very rarely do they spring from deliberate and dishonest policy on the part of the group. People don't mean to keep checking each other out, but it is inevitable that they do so, because the process of social bonding requires a measure of trust and mutual compatibility that makes effective organisation possible. treatment, more responsibility and more say. New members who present the wrong indicators remain peripheral to the party structure, and finding themselves unable to influence decision-making at any level, eventually give up and leave, often embittered by the hard work they put in and the hollowness of the party's claims of equality and democracy. The Socialist Party does not need these indicators, because we choose to get the whole business done with and out of the way first, upon application to join. As far as we are concerned, our test of socialist understanding settles the matter once and for all, and in an honest and friendly way. Even applicants who are rejected are strongly encouraged to continue the dialogue, and very often are accepted at a later date when the disagreements are resolved. Once a member, you have the same rights as the oldest member to sit on any committee, vote, speak, and have access to all information. Thanks to the test all members are conscious socialists and there is genuine internal democracy, and of that we are fiercely proud. tradespeople, pensioners, hippies, housewives, cockneys, academics, salesmen, musicians, unemployed, ethnic minorities, dockers and doctors. The "typical Socialist" doesn't exist, except in popular myth. This is as it should be, for all the above are members of the working class. To put the proposition in another way: to understand the basic structure of a society is to grasp the underlying significance behind the actions of outstanding individuals. Take, for example, the apparent earth-shattering decision of Egypt's President Anwar Sadat to parley with 'the Israelis for "peace" and the return of Arab lands to their former owners. Consider, too, the stiff-backed arguments of Israel's Menachem Begin on the "historical right" of the Jewish people to return to Samaria and Judea (commonly referred to - but not by Begin - as the West Bank). Were one to base one's understanding on popular belief, the new development in Middle East politics is the brainchild of Anwar Sadat. Millions of words are churned out by the media on his and his lovely wife's personal backgrounds, their devotion to Allah and to the pressing economic problems of the Egyptian masses. Sadat is widely termed “courageous” excepting, to be sure, in some parts of the Arab world where he is labelled “traitor.” Whatever the appellation, however, he is thought of as the instigator of Egypt's current political moves. Now, it is not necessary to construct a theory based upon conspiracy to understand that the business class of Egypt and of Israel have orchestrated the present politics of “peace” in their immediate orbits. The symphony does not have to sound, upon original completion, as a finished work and is subject to refinement. Even the master composers of the classics were known to change their scores from the originals. And so it is with the bourgeoisies of Israel and Egypt. There is a constant urge, a need, in capitalist society for trade and capital investment that transcends historical prejudices. That such activity leads, inevitably, to further ruptures and war is but a contradiction of capitalism and beside the point. Business must go on, somehow, but it is not easy-to whatever extent it is possible - for nations to carry on profitable relations with one another when in a legal state of war. As a matter of fact, the bourgeoisie, as a whole, is never really pleased with a perpetual need to build armaments and wage war with one another. It is costly and the experiences of the West German and Japanese capitalist class since their defeat in World War II prove how much more profitable it is when huge military establishments do not have to be maintained. The point is that, whatever the outcome of current negotiations, one should learn more by examining Israeli and Egyptian business needs than by studying the personal characteristics of their heads of state. “Among the many religions that came together in the Roman world empire the Jewish was the one best suited to the thoughts and needs of the time. It was not superior to the philosophy of the 'heathen' but to their religions - no wonder that the Jews felt far superior to the Gentiles and that the number of their supporters grew rapidly. 'Judaism wins over all men,' says the Alexandrian Jew Philo, 'and exhorts them to virtue; barbarians, Hellenes, men of the mainland and men of the islands, the nations of the East like those of the West, Europeans, Asiatics, the peoples of the world.' 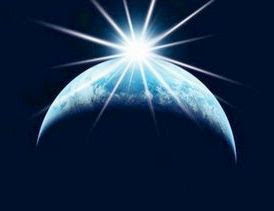 We expected Judaism to become the religion of the world. This was the time of Christ” (Foundations of Christianity). Is it not preposterous, then, to relate present world Jewry to the historical inhabitants of Samaria and Judea or of Palestine, generally? On the other hand, neither Jews nor Arabs, for the most part, could lay claim to meaningful ownership of the land on which they lived in biblical times any more than they can today. Throughout the period of recorded history the land in any part of civilization has been, mainly, the property of a small minority of any national population. The lesson is still to be learned: “Our land” so far as the vast majority is concerned is ours only in philosophy, poetry, and song - not in actuality. And the only historic right enjoyed by working people anywhere in the civilized world is the right to be exploited (when they can be “used”) by, and subject to, a ruling class and its state. Common cause? With whom? Just about the majority of Single Issue Activists around the globe. Think about it; poverty is a Socialist issue; food security is a Socialist issue; dis-armament (whether nuclear or conventional) and weapons proliferation are Socialist issues; racism, sexism, sexuality, religion and religious intolerance are Socialist issues; freedom of expression, persecution, injustice, unlawful detention, state murder, war and neglect are all Socialist issues; access to education, skills training, the arts and sciences are Socialist issues; the global environment and our place within it is a Socialist issue; the right of the Blue Whale or even the Camberwell Beauty butterfly to live and thrive is a Socialist issue. As members or supporters of the Socialist Party we are, with our companion parties around the world, part of a movement that has stood on the side of liberty, equality and fraternity for more than 100 years. Can you think of a single issue in our party's history where it has stood in silence or on the “wrong” side of any issue? From my relatively new and unlearned position I can't. Yet who outside of our movement knows this? Overcoming the mindset of workers conditioned by years of elite propaganda coupled with the appalling examples of so-called “socialist” models of the last nearly 100 years has proved a challenge to say the least. Minds remain closed, and yet when we scratch beneath the surface of many people from every type of background and persuasion we consistently find sympathy and common cause with our position as socialists. The propaganda says “Yeah, but . . .!”, whilst their hearts and minds applaud the decency, humanity and common sense of our position. So, why aren't these people socialists? I contend that it's because they've never heard of us, that they know nothing about us and the principled political philosophy we believe in, and herein lies our challenge. Raising and maintaining a “profile” in this capitalist world costs the very thing the party lacks – money! Without some philanthropic Bill and Melinda Gates having a “Road to Damascus” moment with the realisation that single issues only address the effects and not the cause of the disease and socialism being the real answer, are we stymied? Perhaps not. By making common cause with many of these single issue campaigns and movements, by showing support, by clearly demonstrating that we are not there to hijack their agenda, by promoting our position, in many cases held for decades, on “their” issues we can surely open the minds of activists to the bigger picture. By challenging in a non-challenging way we can show that the reason “poverty is not history” after years of campaigning, for example, is not because activists have not raised enough money but because the system has evolved to service capital and not the needs of people. into the mainstream and ultimately to bring about a society built on the principles we hold dear. Many of these single issue causes have the support of some of the most socially/politically active members of society. They care! Really care for the world of which they are part, they are passionate and they work to bring about change for the better. They believe that they can't change the global system but that they can reform some small part of it. Socialists believe that changing the global system is not only possible, it is essential for every facet of life on this planet. goals are a part of our overall goal. To make common cause. As individual members of the party we can do this, but what about the party itself? Should it not be linking via websites and forums, where with help from some of our experienced colleagues, and using tightly targeted subjects or themes that will resonate with these socially aware, often young, activists we can clearly demonstrate that the Socialist Party is their natural political home? That what individual, single issues have failed to achieve in any meaningful way, Socialism, with the active participation and understanding of ordinary, caring and compassionate human beings can bring about. A Common Cause for the Commonweal. Roman Abramovitch is the main man behind Chelsea Football Club. In more recent news, the London Evening Standard has been bought by Alexander Lebedev. No doubt, these two men will be cheered on as examples of capitalism working, instead of that "communist" system the Russians supposedly had from 1917-91. The truth is Soviet Russia had a capitalist class. All that happened was a change in the way they rob the workers. Post communist society also is characterized by a wide disparity in wealth and privilege. Although there is no rigid class structure, social stratification based on wealth is evident and growing. The nomenklatura as it existed in Soviet times disappeared with the demise of the CPSU, but many of its members used their continuing connections with industry and finance to enrich themselves in the emerging capitalist system. According to a 1995 study conducted by the Russian Academy of Sciences, more than 60 percent of Russia's wealthiest millionaires, and 75 percent of the new political elite, are former members of the communist nomenklatura , and 38 percent of Russia's business people held economic positions in the CPSU. The wealth of the new capitalists, who constitute 1 to 2 percent of the population, derives from the ownership of private property, which was prohibited under the communist regime; from former black-market transactions that now are pursued legally; and from repatriation of funds that were secretly transferred abroad during the Soviet era. The above quote is from Country Studies, which was produced "by the Federal Research Division of the Library of Congress as part of the Country Studies/Area Handbook Series sponsored by the U.S. Department of the Army between 1986 and 1998." The Socialist Party is the only party whose sole object is the replacement of the present social, economic and political system(capitalism) with a fundamentally different system (socialism). Socialists are men and women who understand and work for such a change in society. Capitalism has existed for only the last four or five centuries. During that time it has spread from parts of Europe to every corner of the world. There are still pockets of previous forms of society-feudalism,tribalism, even slavery-but they are steadily being squeezed out by the incursions of capitalism. The roots of socialism may be traced to ideas first formulated in ancient civilisations, but as the abolition of class and private property society it has remained an ideal and not an activity. Indeed,it is only in the last hundred years or so that the material conditions for the establishment of socialism as a world society have been developed, making it a practical alternative to capitalism. One of the basic features of capitalism is that the means of wealth production and distribution (land, factories, offices, transport, etc)are owned by individuals, private or public corporations or the state. The various forms of ownership have evolved and become more complex within capitalism. False claims have been made that, because certain industries have been "nationalised" or whole countries governed by regimes with the label socialist or communist, therefore socialism has been introduced. This is not the case; such reforms of capitalism change only its surface features, not its basic substance. With capitalism goods and services are produced for sale in a market with a view to profit. Where it is not feasible to form a market or seek a profit, goods and services may be provided "freely" at the point of consumption. While some capitalist production is to meet human needs at a price, capitalist advertising creates wants that the market can then satisfy. With socialism production will be directly to meet human need, each person or group determining their own reasonable needs in a social context. There will be no buying or selling and no calculated exchange, but plenty of giving and taking. Capitalism requires that access to goods and services be by "effective" or "economic" demand-generally, no cash, no carry. Exceptionally the state or local authority provides "benefits" in cash or kind, and charitable organisations give other handouts. Socialist society will mean free access, although some collective action may need to be taken in the few cases where access that is too free could result in harm to the individual or the community. The profit system requires a class of owners of the means of wealth production and a much larger class of non-owners. The one class represents "capital" and the other "labour". Of course this is the system in its crudest manifestation: in practice it has evolved very sophisticated forms of exploitation and presentation. Society is said to be composed of three or more classes, such as upper,middle and working. Workers may be given a "stake" in capitalism through ownership of small packets of shares. Socialism rejects the idea and the practice of opposed classes consisting of owners and non-owners. All persons will stand equally in relation to the means of wealth production in socialism. Allied to the two-class division into owners and non-owners in capitalism is the two-class division into employers and employees. Again there are subtleties: employers may be individuals, corporations or the state; employees may be in employment, seeking it or retired from it. The self-employed are a marginal group. With socialism there will be no employment; work will be done on the basis of its product being needed, not because an employer can make a profit by "supplying" it. The key market in capitalism is the labour market, where workers are forced to earn their living by selling their labour power to an employer. With socialism markets, like money, will be unnecessary and disappear. Capitalism requires much work to be done that serves no useful purpose and is necessary only to keep the profit system going. Activities such as banking, insurance, selling, preparing for and making war, are only a few of many examples. Estimates of the proportion of current work that is necessary only to capitalism vary from 50 to 90 percent. With socialism no useless or harmful work need be done, although no doubt some people will choose to do things that others will see as without purpose. Artistic and creative endeavours may be expected to flourish, no longer confined and distorted by the profit motive. 1. Solving the Reform or Revolution dilemma, by declaring that a socialist party should not advocate reforms of capitalism, and by recognising that political democracy can be used for revolutionary ends. 2. Realisation of the world-wide (rather than international) character of Socialism. Socialism can only be a united world community without frontiers, and not the federation of countries suggested by the word "inter-national." 3. Recognition that there is no need for a "transition period" between capitalism and Socialism. The enormous increases in social productivity since the days of Marx and Engels have made superfluous a period, such as they envisaged, in which the productive forces would be developed under a State control, and in which consumption would have to be rationed. Socialism can be established as soon as a majority of workers want it, with free access. 4. Rejection of any further progressive role for nationalism after capitalism became the dominant world system towards the end of the 19th century. Industrialisation under national State capitalism is neither necessary nor economically progressive. 5. For the same reason, rejection of the idea of "progressive wars". Socialists oppose all wars, refusing to take sides. 6. Exposures of leadership as a capitalist political principle, a feature of the revolutions that brought them to power, and utterly alien to the socialist revolution. The socialist revolution necessarily involves the active and conscious participation of the great majority of workers, thus excluding the role of leadership. 7. Advocating and practising that a socialist party should be organised as an open democratic party, with no leaders and no secret meetings, thus foreshadowing the society it seeks to establish. 8. Recognition that capitalism will not collapse of its own accord, but will continue from crisis to crisis until the working class consciously organise to abolish it. Most of us want to work. What we hate is employment. We want to work for ourselves, our families and friends, our community, not some thieving parasite who can laugh as long as we’re dependent on his wages. The abolition of wage slavery is no less than the abolition of class society. Because there are only two main classes left in society today--capitalists and workers—the abolition of capitalist exploitation must mean the beginning of free labour. How will work be organised in a socialist society? Everyone who can work will work. They will work at what they do best, not for wages but as co-operative contributors to society. In return for giving according to their abilities they will be free to take from the common store according to their needs. There will be no wages. There will be no money. Instead of the market there will be free access for all to goods and services. It will be a more relaxed society. People in a socialist society will not have jobs but will do work. It is unlikely that any of us will choose to do only one kind of work all week or between the ages of sixteen and sixty-five. It is quite probable that the hours each week that each of us will be needed to work will be less than at present. Certainly, working conditions will be pleasant--because the object of work will be social satisfaction and not pumping as much toil out of each person as is humanly possible. People in a socialist society will have much more control than now over how their work is organised; the labour process will be democratised and no longer under the dictatorship of Capital and its managerial Gestapo. Under capitalism what we call leisure is a snatched period of free time to use for rest and relaxation. In a socialist society the distinction between work and leisure will diminish—perhaps even disappear. People will have an opportunity to use their hobbies and enthusiasms for the social good: to enjoy being useful. Whereas now much of the work that most workers perform is totally useless—from counting money to making munitions to guarding property—every human in a socialist society will know that their work is part of a process of producing for use. We are not presenting the socialist alternative of a world without wages as a utopian dream for the century after next. This is practical now. Socialism is the sensible next step for humankind to take, away from a social system that wastes our energies, abuses or skills and stunts or creativity. Socialists have been dismissed as quacks for saying unemployment and its attendent sufferings of hardship are inevitable in capitalism, no matter which Government is in power. The new 44th President of the USA has been duly sworn in to rapturous applause.It was indeed a momentous,even emotional, occasion when, to use his words,"..men and women and children of every race and every faith can join in celebration across this magnificent mall, and why a man whose father less than sixty years ago might not have been served at a local restaurant can now stand before you to take a most sacred oath". This post below is noting what we said in 1989 when talk was about regulating and deregulation of capitalism,something Obama mentioned in passing,it was only a 20 minute speech after all. In these days of the enterprise culture, government involvement in industry, commerce, banking and other economic activities is not the flavour of the month. Market forces are in and intervention, or so we are told, is out. Indeed it would appear that this is true, for all over the world, in Britain, France, Australia and elsewhere, governments have been getting rid of much of what is called "the public sector". In fact nationalisation, the main form of government involvement in a nation's economic activity and once seen as a device which would solve all of capitalism's economic and social problems, is more or less a dead duck. So obvious is this even to politicians of "the left" that the Labour Party here doesn't intend to re-nationalise all the Tory sell-offs of the last decade, while in the so-called communist countries private enterprise is being encouraged to compete with ailing state enterprise. However, even in such times as these, governments still have to step in and intervene when they think that the interest of the national capitalist class is in danger. For example, in the United States, the very heartland of non-intervention, there has been the growing problem of the Savings and Loans banks. These S and Ls are the rough equivalent of Britain's building societies and hundreds of them have gone bust while hundreds more are insolvent. Their losses were $68 billion in 1987 and $3.8 billion in the first quarter of 1988, although depositors are covered by a government insurance agency. How did this happen? Just as nationalisation was once seen as the great cure-all, nowadays it is "deregulation" which fills the bill. This means that enterprises in an industry no longer have to conform to laid-down government regulations but are freer to operate as they see fit. This, it is claimed, will produce a capitalism without its attendant problems, will provide greater all-round prosperity, and so on. Thus the S and Ls were allowed by the Carter administration in 1980 to borrow, not only from small investors for re-lending as mortgages as previously, but from the money markets at ever higher rates of interest. This laid them wide open to trouble, which duly arrived when the Reagan administration further deregulated by allowing the now exposed S and Ls to move into high-risk lending for big property deals and other get-rich-quick schemes of which they had no experience. The result was the spate of bankruptcies and insolvencies already mentioned. ever-mounting bill. The implications of this are serious for American capitalism. How can it ever tackle its massive budget deficit of $150 billion while it throws away billions at this rate? More seriously, many American banks have collapsed in recent years (almost 200 in 1987 alone) and the additional collapse of hundreds more S and Ls could trigger a disastrous loss of public confidence in the entire American banking system. The Administration have therefore intervened to try to stop the rot. Bush and his financial advisers have come up with a plan calling for a one hundred billion dollar issue of new bonds to bail out the S and Ls. The interest on the bonds is to be paid to the government by the S and Ls and the other banks though higher premiums for Federal insurance of all bank deposits. Critics of the plan say it breaks Bush's election promise of "no new taxes" as "the taxpayer", in the form of the banks' customers, will have the extra premium passed onto them through higher bank charges. But this will not necessarily happen because the customers may refuse to pay up, in which case the banks and S and Ls will have to bear the extra cost themselves. This rescue package also calls for a leaner and fitter S and L industry to be taken over and run by another government agency, the Federal Deposit Insurance Corporation, and amounts to back-door nationalisation. So whatever their ideological preferences any government will make use of intervention, even despised nationalisation, when it suits "the national interest". All of this reinforces the Socialist Party's view that whether government use less intervention or more, they are helpless in avoiding capitalism's pitfalls. The cultural anthropologist Ashley Montagu once said that what cultural anthropologists were really interested in was “the nature of human nature”. So what do they think it is? Today, all humans are members of the same species, homo sapiens. We know what our main features are: upright position freeing our hands, stereoscopic vision allowing us to see things in three dimensions, a long period of growing up, the anatomical ability to utter a wide range of sounds, and, last but not least, a powerful brain as the centre of our nervous system. These are all genetic features, inherited via our genes, and are what distinguishes us, genetically, from other animals and living things. Before us there were other species of homo (Man) but which are now extinct. The most well-known of these was Neanderthal Man which only became extinct about 30,000 or so years ago. Then there were the likely direct ancestors of our species: homo habilis (which Richard Dawkins translates as “handy Man”) and homo erectus or upright Man. The currently available evidence suggested that the first Man, as distinct from the last Ape-Man, emerged about two million years ago. But this is partly a question of definition since biologists distinguish the first Man from the last Ape-Man by brain size – an inevitably arbitrary, genetic distinction. Anthropologists have introduced another but non-biological distinction: the generalised making and use of tools. While the ability to make tools depends on biology (free hands, good eyesight, more powerful brain) the actual making of the tools - and what they were and how they were used - does not; it is learned not inherited and, as such, part of what anthropologists call “culture”. It is now generally accepted that the evolution of homo habilis (toolmaking Man, if you don’t like Dawkins’s translation) into modern humans was not just a question of biology but also of culture; that it was a biological-cultural co-evolution. That, as Man made and used tools, natural selection favoured those with a more powerful brain and so a greater ability to learn and, crucially, to think abstractly (i.e. of something not present to the senses). Since abstract thinking and language are probably indissolubly linked, this depended on the development of the vocal cords and other parts of our speech organs. The end-result was us, some 150,000 years ago, on the savannah, or open grasslands, of East Africa. Since then the most noticeable biological change was the development of the different varieties of our species – sometimes mis-called “races” – as isolated groups of homo sapiens adapted biologically through natural selection, over many thousands of years, to the different physical environments in which they lived. Otherwise human adaptation has been cultural rather than biological: humans making use of their biological capacities, to build-up a social tradition so as to better adapt to their environment, which is then passed on to a new generation through teaching and learning rather than through genes. “Cultural anthropology is concerned with the study of man’s cultures. By ‘culture’ the anthropologist understands what may be called the man-made part of the environment; the pots and pans, the laws and institutions, the art, religion, philosophy. Whatever a particular group of people living together as a functioning population have learned to do as human beings, their way of life, in short, is to be regarded as culture” (Ashley Montagu, Man: His First Million Years, 1957). Culture allows humans to adapt to a new or changing environment much, much more rapidly than biological adaptation through natural selection ever could. Cultural adaptation is measured in decades while biological adaptation is measured in tens of thousands of years. Other animals do have a culture in the sense of a tradition of behaviour that is passed on through learning, but none can vary and develop it as humans can. So, the capacity for adaptation through cultural change can be said to be a distinguishing feature of our species. It is of course a biologically-determined capacity, dependent upon in particular a powerful brain and the capacity to speak and on the extended period of childhood during which culture can be learned. “The most notable thing about human behaviour is that it is learned. Everything a human being does as such he has to learn from other human beings. From any dominance of biologically or inherited predetermined reactions that may prevail in the behaviour of other animals, man has moved into a zone of adaptation in which his behaviour is dominated by learned responses. It is within the dimension of culture, the learned, the man-made part of the environment that man grows, develops, and has his being as a behaving organism” (Ashley Montagu, Man and Aggression, 1968). This biological capacity for culture, for learning behaviour and passing on to other humans and to other generations, was clearly an adaptive advantage and it is this that has allowed our species to spread and survive in all parts of the world, despite the widely differing environments. Much less of the behaviour of other animals is learned (and what is learned is essentially repetitive from generation to generation) and much more is governed by what used to be called “instincts”. This is a word that has long fallen out of favour in scientific circles, but it would simply denote a fixed response to a given stimulus – like the literal knee-jerk reaction in humans. Or moths flying into lights. Another, more complicated response would be squirrels reacting to the shortening of periods of daylight by going into hibernation. “ . . . man is man because he has no instincts because everything he is and has become he has learned, acquired, from his culture, from the man-made part of his environment, from other human beings” (Man and Aggression). The scientific consensus that was established in the 1940s, 50s and 60s was that it was “human nature” to be able to have a wide range of behavioural responses to the environment; that human behaviour was learned not innate; that it was culturally not biologically determined. This was confirmation that there is nothing in the biological nature of humans that would prevent us living in the co-operative, non-hierarchical, society of self-motivated individuals that socialism would be. Since then the biological determinists have regrouped and counter-attacked, claiming that there still are “biologically predetermined responses” in humans. They have made some headway in that biological determinism is more intellectually acceptable than it was fifty years ago. People like Konrad Lorenz, Robert Ardrey, Desmond Morris, E. O. Wilson, Richard Dawkins and Steven Pinker – none of them anthropologists – have been able to achieve some popular success. But they have only done this by playing to the gallery, exploiting the fact that most people have a negative view of human nature – inherited from the Christian dogma of original sin and innate human depravity – and knowing that they could sell their books by pandering to this prejudice. Ardrey, Morris and Pinker also appealed to anti-intellectualism to ridicule and marginalise the scientific findings of the cultural anthropologists by painting them as an arrogant, liberal elite. But they have failed to show how genes could determine human behaviour (as opposed to setting limits to it). Basically, genes are self-replicating codes for the production of the proteins in the cells of which we (and all other life-forms) are made. What they govern is the development and renewal of our physical, material bodies. They don’t govern behaviour – that depends, as the cultural anthropologists have established, on our social and cultural environment. The biological determinists hoped that advances in genetics would back up their case, but it is proving to be their undoing. Molecular biologists are making huge advances in identifying and discovering the effect of individual human genes. And they are not discovering genes for any behaviour, only for how the human body develops and renews itself – and what happens when a gene is faulty or abnormal or unusual. In which case the person concerned will suffer some, usually crippling bodily defect, but which genetics holds out the hope of someday being able to correct. The findings of the cultural anthropologists still stand. All human social behaviour has to be learned and so is culturally not biologically determined. A key distinguishing feature of our species is behavioural adaptability. Human nature is not a barrier to socialism. 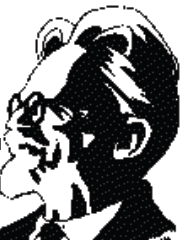 DID TROTSKY POINT THE WAY TO SOCIALISM ? Yes: Hillel Ticktin,Editor of Critique. No: Adam Buick, The Socialist Party. 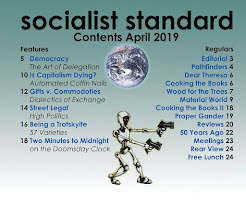 This was a discussion at the Socialist Party Head Office last Year.It is in three parts but you can buy the DVD from the spgb@worldsocialism.org. Many people mistakenly believe that money has always existed and that it therefore always will. We explain why money is out of date. Human beings have lived on this planet for hundreds of thousands of years without using money. When they were hungry, they ate. When they were thirsty, they drank. Whatever was available to anyone was available to everyone. It wasn't paradise, because food was scarce, and growing communities were eventually forced by this scarcity into a competitive struggle for life. First came the invention of agriculture, and the consequent need to defend the land, or property, on which crops were grown. Although this gave communities more stability and growth, agriculture and animal husbandry could not by themselves supply everything which they needed to develop as cultures. For this they needed to associate with other communities and pool their resources. But in the new culture of property there was never again to be such freedom to take whatever was available. And so began the exchange of products known as trade. And although some quite advanced bronze age societies managed to trade very well by using barter (e.g. the Egyptians), it was a supremely awkward way to conduct transactions. With the advent of the Iron Age, cheap metal was for the first time plentiful, and coinage was slowly introduced to facilitate the trading process. Civilisation has since grown up on the back of this trade, whose sophistication was made possible by the invention of money. To the modern mind therefore, civilisation relies on money. This is a misunderstanding. In fact, it is only trade which relies on money. Civilisation relies on distribution of material goods certainly, but distribution is not the same thing as trade, just as give is not the same thing as sell. Modern industrial society has given us the means to free ourselves forever from that scarcity which has always dogged our forebears. Money is no longer a necessity or logical feature of society, and only a tiny minority benefit from its presence. In history, many things become out of date, like the steam engine or quill pens. Money is about to join them. Money is indispensable to the capitalist system, but this system is not indispensable to human society. Money as a universal means of exchange represents capital. The possessing of money enables the buyer to acquire goods and services (commodities) and the seller to dispose of goods and services. The key resource that is bought and sold is human labour power—the ability to transform initial wealth (resources, raw material, etc) into more wealth. We live in a society where almost everything is bought and sold. That which you need to live is a commodity, you must buy it from someone who will make (or at least expect) a profit out of selling to you. It is our passport to existence in capitalism. Not only does the movement of products from producer to consumer come to be mediated by money, but the value of a product comes to be judged not in human terms but in terms of a sum of money. The key to the rise of continuation of the capitalist system is the ability of members of the capitalist class (owners of means of wealth production and distribution) to buy the working abilities of members of the working class. They combine that labour with capital resulting in commodities that can be sold for more than it costs in total to produce them. A high proportion of employment in capitalism consists of handling money in some way. There are hundreds of occupations that would not exist in a society that had no need for money: they range from accountants, bank and insurance staff, salespeople, wages clerks to name only some of the more numerous occupations. Tangible products needed only in a money system include bank notes and coins, account books and invoices, meters, safes and many others. Capitalism as a market system means that the normal method of getting what you need is to pay for it. The normal way for members of the capitalist class to get money is to invest their capital to produce rent, interest, dividends or profit. The normal way for workers to get money is to sell their labour power for wages, salaries, commission or fees. If they are unable to find employment they depend on state or other handouts. The result is poverty in the midst of potential plenty—actual plenty only for the privileged minority. Socialism means a world society based on production solely for use, not profit. It will be a classless society, in which everyone will be able to participate democratically in decisions about the use of the world's resources, each producing according to their ability and each taking from the common store according to their needs. In such a society there can be no money—or, more precisely, no need for money. Money is only needed when people possess, and most do not. Imagine that all the things you need are owned and held in common. There is no need to buy food from anyone—it is common property. There are no rent or mortgages to pay because land and buildings belong to all of us. There is no need to buy anything from any other person because society has done away with the absurd division between the owning minority (the capitalists) and the non-owning majority (the workers). In a socialist world monetary calculation won't be necessary. The alternative to monetary calculation based on exchange-value is calculation based on use values. Decisions apart from purely personal ones of preference or interest will be made after weighing the real advantages and disadvantages and real costs of alternatives in particular circumstances. The ending of the money system will mean at the same time the ending of war, economic crises, unemployment, poverty and persecution—all of which are consequences of that system. The revolutionary change that is needed is not possible unless a majority of people understand and want it. We do not imagine all humankind's problems can be solved at a stroke. Reforms of the present system fail because the problems multiply and recur. It will take time to eliminate hunger, malnutrition, disease and ignorance from the world. But the enormous liberation of mental and physical energies from the shackles of the money system will ensure that real human progress is made. The latest escalation of war in the Middle East is a tragic reminder that nationalism, always diversionary , is often deadly. There is sadly, however, little reason to think that it will represent the final nail in the coffin of Zionism as a movement of progressive, peace-loving, nation-building pioneers. Yes, people believe this myth in the same way as others seeking eternal life become 'martyrs'. History reminds us that this is an ongoing campaign of genocide. This is not the first time that workers from Israel have been instructed to kill their fellows across an artificial border in order to end the 'Palestinian problem once and for all.' The armed might of the Israeli state was for example, used back in 1982 against the PLO in Lebanon. In early August of that year the Canadian ambassador surveyed separate areas of Beirut and declared that "this would make Berlin of 1944 look like a tea party". Then as now the International Red cross reported that the vast majority of the casualities are civilians. Unlike then, our tv screens are showing far fewer images of the carnage and this is particularly true in the USA as only a handful of cable companies risk supplying Al-Jazerra, the one international television service with a base in Gaza. We can only speculate that with the blanket ban on others reporting from within Gaza, Israel wants to keep minimise screening of the ongoing slaughter. As ever, when there is killing to be done, God's rep on earth is to be found sanctifying it. Just as God's Anglicans bless the killers as they set off for Afganistan, the British Chief Rabbi, Dr. Jonathan Sacks, at a rally in London yesterday stated "We say to those who criticise Israel: you want Palestinian children to grow up with hope; so do we." . "We care for life. This is why we say to Hamas: stop killing the Palestinian future." Yet a thousand and counting workers have been denied any kind of future. And, of course, the mad mul-lhas encourage mass murder as the way to eternal life. But expecting rationality from the religious is as futile as trying to hold a seminar with the fairies at the bottom of the garden. The curse of nationalism is not new. Let it be clear that unlike certain anti-Zionists, socialists do not oppose the tunnel-vision mentality of nationalism only when it is Jewish. To us, the flag-waving, triggerhappy Zionists are no more ignorant and abhorrent than those who have swallowed the diversionary, nationalist message of Hamas or Fatah. Socialists do not take sides in national conflicts because it is not our aim to support one or other of the competing capitalist or would-be capitalist factions, each of which seeks its own territories and exploitable populations. No socialist will ever fight to defend a border - we want to do away with the divisiveness of countries and states. But there is a bitter irony about Zionist nationalism. In Dachau, the site of the old Nazi murder camp, a permanent exhibition stands as testimony to the atrocities cornmitted in modem times against miliions of Jews. That the survivors of such persecution sought refuge in a nation of their own - a country which would never persecute or exterminate anyone and would be free of the perverse national chauvinism on which Nazism was based - is not difficult to understand. In Israel, and here in Britain, not a few Zionists are now beginning to ask themselves the question: "How can it be that the country created by the holocaust is now inflicting similar misery on people who are just as defenceless as the Jews in Europe had been?" Same of them in 1982 blamed Begin, just as those today condemn the present government. Others say that the Hamas has pushed the Israeli government to such measures. The truth is that those who saw a solution in Zionist nationalism - in having their own laws, prisons, borders, army and weapons of destruction =-were naive. Their form of nationalism is no less aggressive or bigoted than is ever the case under a system of society where the laws of the jungle are presented as being the rules of civilised conduct. Every nation's flag is dripping with the blood of its enemies; every ruling dass pays for its power in other people's lives. "During times of universal deceit, telling the truth becomes a revolutionary act" opined Orwell. Getting to and telling the truth about Hamas' origins is not an easy task. Wikipedia, for example, is unsure as to when the group was born: 1976, 1987 or 1988? Justin Raimondo in his article 'Hamas, Son of Israel. The Israelis birthed and nuttured their Islamist nemesis' traces them back to the late 1970's. But such debate is rather academic, although it has to be said that this is not the first time that such a 'son' has turned in the fashion of Frankenstein's monster on its creator. From earlier editions of our journal, the Socialist Standard, one can glean that Hamas has taught children as young as four how to be suicidal terrorists and that such activites are funded by Iran and Syria. Furthermore, workers are screwed whether under the yoke of Fatah or Hamas. "Go back to the oven," the woman in her hijab in Fort Laderdale, Fla., yelled to the Jewish Americans demonstrating their support for Israel. "You need a big oven, that's what you need." Yet, left-wing parties would have us support such tragic, crass ignorance, get behind Hamas, go on marches and exchange obscenities with the pro-Israel camp. Socialists do not care who broke the ceasefire or which side has the more effective killing machine. Socialists see the bigger, on-going worldwide conflict - the class war - and will not succumb to the poison of nationalism. Nationalism can never be a solution to the problems of oppression: it was not for the Jews; it would not be for the Palestinians. The problem is class, not national, racial, or religious origins. As a class, workers have no country. The British do not own Britain, the majority of Israelis have no significant economic stake in Israel, the impoverished Arabs do not share their exploiters' national wealth. There are two classes in society: those who possess without producing and those who produce without possessing. Wars are fought over the interests of the capitalists and would-be capitalists. In the 1940s an aspirant Israeli ruling class, represented by such vicious thugs as the Stern gang (of which the Israeli Foreign Minister of 1982 was a member), used terrorist tactics to secure their goal. Having obtained power violently, who could have expected the Israeli: ruling dass to have maintained power except by the continued use of violence? Israeli workers identify with the aims of their rulers - they see their national identity as more important than their class identity with Arab and other workers. In this they are dangerously mistaken. The socialist solution to the Middle East conflict is not a piecemeal policy. We do not advocate re-drawing the border or politieal deals or the exchange of one ruling class for another one. These amount to mere rearrangements of the capitalist furniture. Only when Israeli and Arab workers join the worldwide movement for a society without class ownership, nations or arrnies will the war finally cease. This is not a pious hope for the future. Workers are dying in Gaza and there is every sign that more will be killed. What is now a local war could turn into something rather bigger. Who will stop the killing once and for all - bloody Blair, Ismail Haniyeh or Ehud Olmertt? To expect this to happen is like hoping for Bush in his dying days and Ahmadinejad to shake hands, make up and agree a new nuclear policy. We leave such dreams to the Utopians who are fond of calling themselves Realists. For socialists, it is clear that if there is ever to be peace it is those who are the sitting targets of war who must actively pursue it. The UN defines a major war as an excess of 1,000 battlefield deaths in a year. There have been around 10 such wars going on in the world each year for the past half century. Around two dozen lower intensity conflicts bubble on around the world. We rarely hear of them because war has become so normal it fades into the news background. Only sudden bouts of violence, in areas where our local capitalists have a particular interest seem to make the headlines. The current war in Gaza attracts attention because of the oil interest in the Middle East, and its threat to the stability in the region. Palestinian and Israeli workers are being used as pawns in a struggle for control of a strategically useful patch of land. A very wealthy war machine confronts a poor one with abundant human resources. Neither Palestinian nor Israeli workers will benefit from any victory – the only victory for them will be the cessation of violence, the removal of the threat of death from their lives. That matters more than any borderline. Any peace, though, would only be temporary. In a world of continual warfare over access to trade routes and resources, violence will flare up again there or somewhere else – and you will be called out onto the streets once more in the name of peace. The only rational response to a world of continual warfare is to deal with the global conditions that produce warfare. The division of the world into units of property by competing profiteers means someone will inevitably cheat and resort of violence to boost their profits. Around the world, there are billions who own nothing but their ability to work, and who take no share in these profits, but who are compelled to fight or die in these wars. These people, the working class, live by their labour, their co-operation. Their interest does not lie in the division of the world into property, but the emancipation of their labour from the chains of private property. The world should be a common treasury for all – a worldwide cooperative commonwealth would mean an end to the causes of this war, and all wars. Don't let yourselves be sidetracked into who started what, when or why; nor by those who ask you to "support Hamas", call out for "Victory to the resistance" or chant "No justice, no peace". The cause of the workers is the only route to lasting peace: the world for the workers! Why President Bush may not get a lot of credit. In regard to the Jan. 8 Opinion piece, "Why doesn't Bush get more credit? ": Author John Hughes proclaims that "Sadly, Bush currently seems to get little credit for ridding the world of Saddam Hussein, surely one of the world's most fearsome despots since Adolf Hitler." He fails to mention that Mr. Hussein was our close ally in the Middle East under presidents Ronald Reagan and George H.W. Bush. If he was, in fact, Hitler-like, why did we embrace him until he invaded Kuwait? How was it that we didn't recognize the Hitler in him until August 1990? Indeed, why did he remain our ally after he gassed the Kurds in 1988 on Mr. Reagan's watch? Why did Reagan say and do nothing in response to that atrocity? As far as the US is concerned, it seems Hussein didn't acquire his despot status until he threatened US oil interests. The Socialist Party has for over a century welcomed questions from opponents, sympathisers and others. Engels nearly 165 years ago wrote of one frequently encountered objection: "When one talks to people about socialism or communism, one very frequently finds that they agree entirely with the substance of the matter and declare communism to be a very fine thing; "but" they then say, "it is impossible to ever put such things into practice in real life." The 'human nature argument' brings a wry smile to Socialists whether they joined the movement six months or sixty years ago. Unsurprisingly therefore you will find it addressed in the frequently asked questions of our website. *Utopian Socialism. Saint-Simon, Fourier and Owen gave useful criticisms of existing society and interesting possibilities for a future society, but they were politically naïve about how this was to come about. *Anarchism. Stirner, Proudhon and Bakunin were criticised for failing to see the authoritarianism inherent in the anti-democratic nature of anarchism. *Reactionary Anti-capitalisms. All those who yearn for a pre-capitalist ‘golden age’ of harmony, plenty etc., as found for example in the writings of Thomas Carlyle. *Boulangism. After General Georges Boulanger in France, an arch-opportunist and a forerunner of ‘National Socialism’. *Bismarckian Socialism (or ‘State Socialism’). In late nineteenth century Germany the Bismarck regime introduced nationalisation and social-welfare reforms. To a large extent this was an attempt to undermine and ‘steal the thunder’ of growing support for the reformist German Social Democratic Party. The Socialist Party is thoroughly democratic, just like the leaderless global system of free access and production for use it urges a majority of workers to establish. Tyranny, the struggle for 'human rights' and freedom of expression will only be found in accounts of capitalism and earlier social systems. But just as our conception of Socialism is very different from that presented in the mass media, so is our perspective on democracy - a term which originated in ancient Greece where it meant rule by the citizens (which excluded the majority - foreigners, women and slaves). In the modern Western world, ‘liberal democracy’ means little more than regular elections in which competing political parties put up candidates for government office, offering voters the chance to choose between marginally different sets of policies. This is to be preferred to those conditions in countries where even these limited rights do not exist. However, ‘liberal democracy’ does not constitute a meaningful conception of democracy. Socialists argue that all governments, no matter how well-intentioned or enlightened, in trying to administer the capitalist system as a whole (‘the national interest’), usually pursue policies that favour the capitalist class. It is in this sense that the United Nations has declared 15 September as the ‘International Day of Democracy’. In socialist society the machinery of government of the states of the world can have given way to democratic administration at local, regional and global levels. Real democracy will involve equality between all people with regard to the control of the use of the means of production. ‘We have often stated that because of a large anti-socialist peasantry and vast untrained population, Russia was a long way from socialism. Lenin has now to admit this by saying: “Reality says that State capitalism would be a step forward for us; if we were able to bring about State capitalism in a short time it would be a victory for us” (The Chief Task of Our Times)… If we are to copy Bolshevik policy in other countries we should have to demand State capitalism, which is not a step to socialism’ (Socialist Standard, July 1920). ‘Both Trotsky and Stalin draw up their programmes within the framework of state and private capitalism which prevails in Russia’ (Socialist Standard, December 1928). Since the collapse of the Russian Empire after 1989, state capitalist monopoly has given way to a Western-style ‘mixed economy’, with many of the former Party bosses as bosses of the new privatised businesses. Now that the sham of Russian ‘socialism’ has passed into history, workers in Russia can join in the struggle for the real thing. Engels concludes: "If the workers are united among themselves, hold together and pursue one purpose, they are infinitely stronger than the rich. And if, moreover, they have set their sights upon such a rational purpose, and one which desires the best for all mankind, as community of goods, it is self-evident that the better and more intelligent among the rich will declare themselves in agreement with the workers and support them..." Our question is, why do not you join us in seeking to make a world of free access possible? Actually, it’s already started. Inflating the currency in this way won’t end the depression or stop it deepening but it will lead to a rise in the general price level (popularly but misleadingly called “inflation” - whereas it is the result of inflating the currency). In today’s Times also, their resident economic guru, Anatole Kaletsky, accuses David Cameron and the Tory Party of lining up with Marx against Obama, Gordon Brown and Keynes. In fact Marx did have something very relevant to say on the matter. In his A Contribution to the Critique of Political Economy, which was published 150 years ago this year, Marx discussed what happens when there is “inconvertible paper money issued by the State and having compulsory circulation”, which is the case in all countries today. Since inconvertible paper money has “compulsory circulation” there is nothing to stop States issuing as much of it as they like. In fact governments are faced with the same temptation here as over debasing the coinage: to print paper money is an easy way of raising revenue at least in the short run. “The issue of paper money must not exceed in amount the gold (or silver as the case may be) which would actually circulate if not replaced by symbols ... If the paper money exceed its proper limit, which is the amount of gold coins of the like denomination that can actually be current, it would, apart from the danger of falling into general disrepute, represent only that quantity of gold, which, in accordance with the laws of the circulation of commodities, is required and is alone capable of being represented by paper. If the quantity of paper money issued be double what it ought to be, then, as a matter of fact, £1 would be the money-name not of ¼ of an ounce, but of 1/8 of an ounce of gold. The effect would be the same as if an alteration had taken place in the function of gold as a standard of prices. Those values that were previously expressed by the price of £1 would now be expressed by the price of £2” (Capital, Vol I, Moscow,1961,pp.127-8). If the government does give into thios temptation, as it seems it will, then we’ll soon find out who’s right - Marx or Keynes. Past experience, as of the 1970s, suggests it would be foolish to bet on Keynes. The slump will contine, but with “inflation” as well. South Africa, from bad to worse?